Whether kids are in the brainstorming, writing or editing phase of a paper, the C.O.P.S. strategy can help. 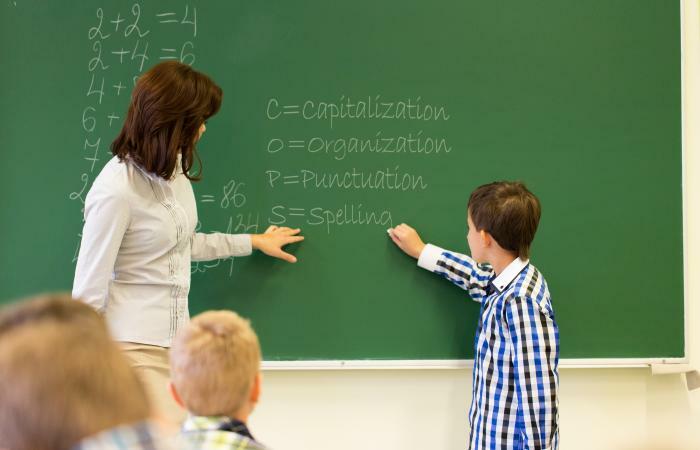 The acronym stands for Capitalization, Organization, Punctuation and Spelling, giving kids an easy way to remember important elements of writing. Developed by the University of Kansas, this acronym was developed to help kids with learning disabilities, but it can help kids write better, regardless of ability. While it was initially created as the C.O.P.S. editing strategy, it can be used in many other ways including as a writing strategy for children. Why Is Organization Important in Writing? Click on the checklist image to download and print a two-sided document featuring the SH! COPS acronym kids can use for all their writing and editing. If you have any trouble accessing the checklist, consult the Adobe Guide for troubleshooting tips. Teach the phrase and what each letter stands for. Show examples of sentence or paragraph revisions using the strategy by narrating each step out loud. Offer partner or individual exercises to practice the skills and keep a poster in sight with each step explained. Once kids master the basic strategy, add the phrase SH! as in SH! C.O.P.S. The "S" stands for sentence structure and the "H" stands for handwriting. Now kids have a comprehensive tool they can use to make their writing look and sound good. Kids in the planning or brainstorming phase of a writing project can use C.O.P.S. to help organize content. In terms of capitalization, a child starts by making note of any special words they plan to include and need to be capitalized. For example, in a book report, kids know they need to capitalize the title of the book and the author's name, so they can make note of this in their outline. The point of the planning phase is to organize thoughts before writing so that takes care of the "O." As a child plans the type of writing for the project she determines if special punctuation marks like exclamation points would be acceptable. If she's writing a persuasive essay or opinion-based review these punctuations would be acceptable whereas in a research paper they may not be. Since kids in this phase already know what they will write about, they can note any difficult spelling words related to their topic. 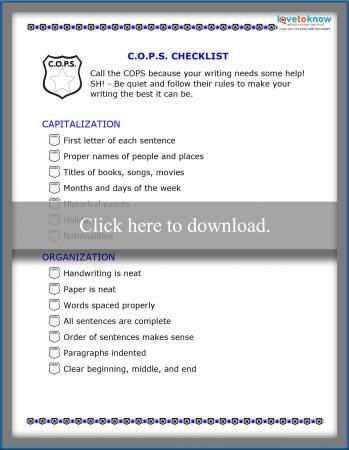 Give kids an outlining worksheet to use and add a section for each of the C.O.P.S. areas so they can make notes on these specific areas. Create bulletin board areas for each letter of the acronym where kids can hang up relevant words or phrases. If you have a capitalization board, kids can hang the names of people and places you study for history or geography. As they brainstorm, kids can reference the boards as needed when they can't remember if a specific place gets capitalized. If students complete a structured outline for their work, using the C.O.P.S. mnemonic device to edit their outline will help keep them from making simple mistakes during writing. As a child writes every word, sentence and paragraph, each of the aspects of the C.O.P.S. strategy should be active in his brain. As he writes a sentence, a student could say to himself, "I capitalize the first word, make sure my subject and verbs agree, spell each word correctly in the context of my sentence and end with the correct punctuation." If he does this as he writes, the revision process is easier. Use a timer to time your student as he plans, writes and edits a specific type of paper like a book report. Keep track of the time it took for each activity. Now have your child use the C.O.P.S. device for each step in the process and keep track of the times. Did it take longer with or without the strategy? Why or why not? Have students write the topic sentence for each paragraph first. Kids then use the C.O.P.S. strategy to revise these sentences. Now they can write the supporting statements based off their revised topic sentences. Give students a sentence to work with and challenge them to use C.O.P.S. as a tool in rewriting each sentence to provide the same information in a new way or make a new sentence using the same words. Challenge older students to use the concepts from the device to make a sentence with a different meaning using the same words as the original sentence. Can they change the punctuation, capitalization, spelling or organization to give the same words new meaning? The simplest use of C.O.P.S. is as a prompt after a child writes a first draft. C.O.P.S. helps kids clean up their writing assignment. Children use the phrase to go back through their work looking for the element attached to each letter in the acronym. On their first pass, kids should only look for capitalization errors, making sure the first letter in each sentence and any proper nouns are capitalized. On the second pass, kids make sure their paragraphs and entire paper are organized in a logical flow that makes sense. Next, children assess punctuation making sure they've used periods and commas only where necessary. On the final edit kids double-check all of their spelling, paying specific attention to words with multiple spellings like to, two and too or their, there and they're. An editing checklist helps children double-check their work by prompting them to look for specific things each time they read through their work. Teachers can offer more specific feedback on writing assignments by grading each letter from the acronym separately. This helps kids know which areas they most need to work on. In peer review situations kids can use the C.O.P.S. prompt to critique a partner's work, which keeps them focused on technique rather than content. 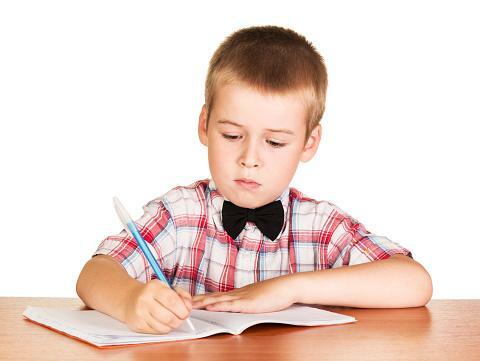 Mnemonic devices and other memorization tools give kids an edge when it comes to great writing. Make up fun phrases or use several together as you plan activities and challenges where kids try them out. C.O.P.S. can be interpreted to mean different things in terms of writing or editing. Check out these alternative explanations and other writing acronyms to use with kids. One example changes the "O" to overall appearance rather than organization. Give each student a small version of the C.O.P.S. strategies with printable bookmarks so they always have the information handy. Teach editing marks along with the strategy with worksheets using the C.O.P.S. acronym. Create an account on Education.com to download free worksheets. Editing strategies like C.O.P.S. make great writing reminders because they help kids incorporate all the important elements of writing as they're doing it. Using an editing strategy while planning or writing gives kids the upper hand on crafting great first drafts that won't need a lot of revision.